For some odd reason (read: school! ), I forgot to post this review of Ayad Akhtar’s debut novel American Dervish. Akhtar is primarily a screenwriter and this influence is especially visible in how he handles plot and plot twists but sometimes, it seeps into the writing itself, which I wish it didn’t. 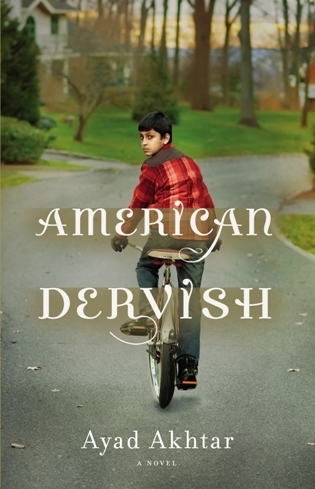 Despite its flaws, American Dervish is a strong debut and tells the story of growing up Muslim in mid-western America. It’s a coming-of-age story that is complicated by forbidden love, religious tension and a clash of cultural values. Below is an excerpt and click here for full review. A few weeks ago, a friend of mine sent me to Mexican author Perez-Reverte’s blog. The blog is in Spanish (I Google Translate it to English) and it’s about his notes on a novel that he is currently writing. I thought the idea of annotating a novel in progress was pretty neat. I like the idea of giving your readers and your future self a kind of pathway into your creative process. It’s something I’ve been thinking about more and more. Most of the time, when I write something I like, it’s like magic. I have no idea where it came from. It seems, sometimes, as if the words, sentences, ideas are spilling out of my fingers. It feels as if the story is this thing that is alive. Getting back to Perez, the Google Translate does a kidn of sub-par job but this sentence captured me: “A novel does not end up hating you as you write, but while you correct.” Replace ‘novel’ with ‘short story’ and he’s still right! Anyway, that a bit heavy-ish, so here’s my current obsession to take the edge off all that: Marley singing ‘Is this love?’. Right now, I’m listening to this song on an insane, endless loop and writing Chapter 1 of Book 2 of the Kuru Chronicles called ‘The Communist’ which is about a pot-smokin’, Marley lovin’ Bengali Communist.